Based on the best-selling books by Swedish crime writer Henning Mankell, detective Kurt Wallander is an intense and headstrong maverick, prone to eating poorly, sleeping irregularly and drinking too much. The original series of Wallander films starring Rolf Lassgård have proved hugely influential. Produced between 1994 and 2007, they not only paved the way for a Swedish television adaptation featuring 26 episodes across 2 series, where Kurt Wallander was played by Krister Henriksson, but also for an English adaptation, commissioned by the BBC. Broadcast on BBC1 and syndicated worldwide, Wallander was played by the legendary Irish actor Kenneth Branagh. 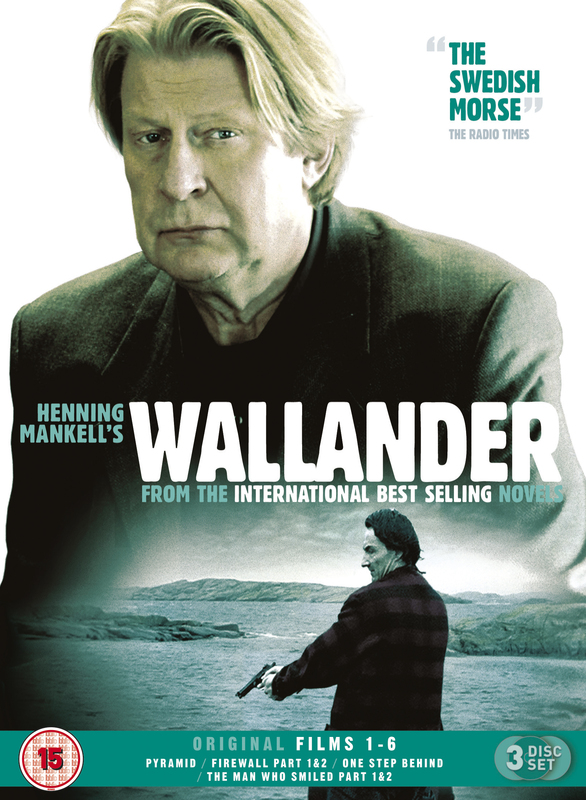 Wallander is widely credited for kick-starting the UK’s love of foreign language drama. To coincide with BBC1’s big-budget English adaptation of the series, BBC4 announced that it would air its Swedish counterpart (based on the original films starring Rolf Lassgård). First broadcast in late 2008, The Killing and Borgen have since followed it into the nations hearts, with The Bridge now set to continue the trend. The Wallander Original Films 1-6 Box Set begins with a violent and deadly showdown in “Pyramid”, followed by the 2-part thriller “Firewall”, the baffling “One Step Behind” and the unpredictable 2-part finale “The Man Who Smiled”. It’s available on Amazon and other online and selected High Street stores now.